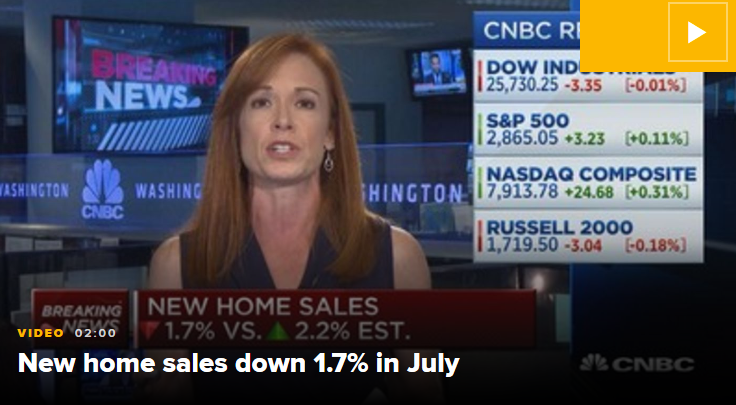 A slew of negative housing numbers for July are piling up on top of a slew of negative housing numbers from the last several months. Sales of new and existing homes are falling, construction of single-family homes is basically flat for the year, mortgage rates are rising and affordability is weakening. It certainly feels like the housing recovery that really took off in the last four years has come to a grinding halt, but it hasn’t. Is the ultra-hot and competitive housing market cooling off? Absolutely. Home prices rose too far, too fast, and the market is now hitting a price wall. We know that because the price gains are finally starting to shrink, according to a report this week from the National Association of Realtors. Anecdotally, real estate agents across the country are saying that their sellers are beginning to come back down to earth.